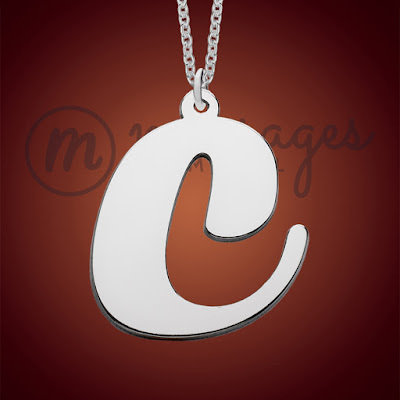 Morning ladies today I want to talk jewellery & in particular personalised jewellery. 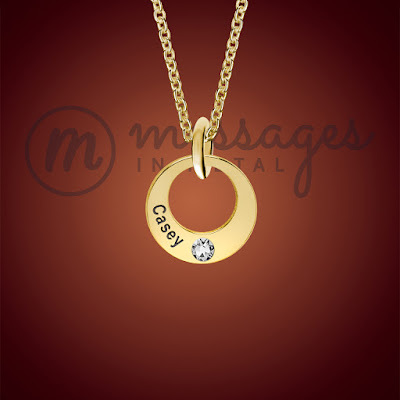 As you probably know by now I love customised jewellery that can hold a special meaning to the wearer. Something I seem to have developed a taste for from a young age having spent many an hour as a small child playing dress up in my Grandma's jewellery. For me there's nothing more special than an item that can be personalised, so I was delighted when Messages In Metal recently got in touch about working together. 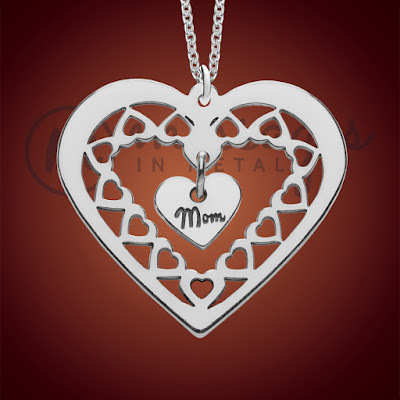 Based in Montana, Messages In Metal pride themselves on producing high quality anti tarnish 925 sterling silver jewellery that is lovingly crafted in house. With one of the benefits being that should you have a special requirement they will do their utmost to accommodate your design. All of which are available in either a sterling silver or 24k gold plated finish & come beautifully presented in velvet presentation boxes. I've put together my favourite pieces from their collection so you can get a feel for the brand, who offer very competitive pricing compared to other brands on the market, together with fast delivery. My order took just under 2 weeks, which considering I asked for the design to be altered slightly & the order comes direct from America, so has to pass through customs, is really good. Plus they've kindly sent me a discount code to share with you for 10% off everything with code Midlife. So lets start with the timeless monogrammed disc. The perfect necklace for customising with a loved ones initials & is perfect for wearing on it's own or even layering with other chains. 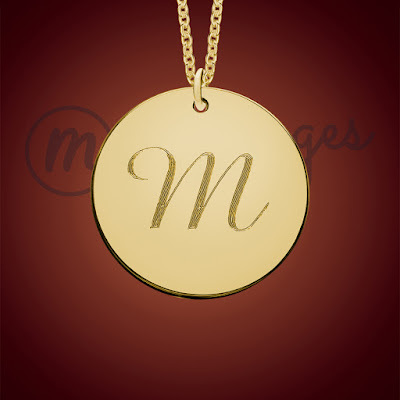 Of if you prefer something a little less bulky then you could choose their initial necklace, which as I've already mentioned is either available in sterling silver or 24k plated gold & as like all of their necklaces is supplied with an 18" chain with a 3" extension making it perfect for layering with existing necklaces. 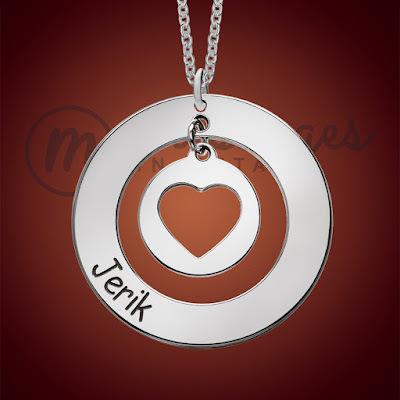 Amongst their many designs Messages In Metal also have the ability to add full names to some of their collection, like the above round name necklace that would be perfect for adding your children's names to. 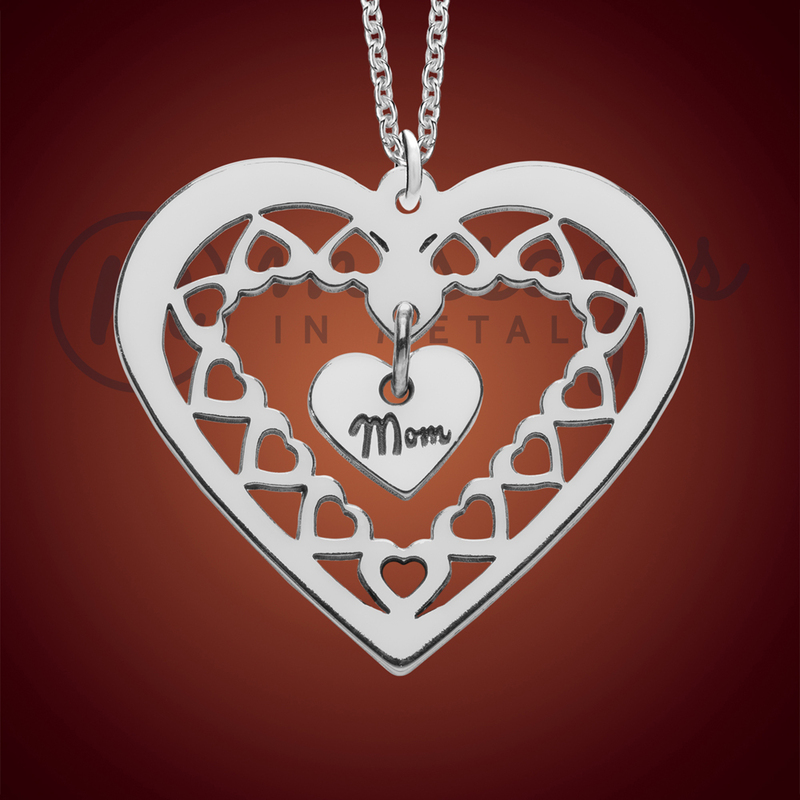 Or should you be looking for a gift for you mum how about this silver heart necklace that is perfect for customising with a short name such as mum or even an initial. Name necklaces are another great piece of jewellery that look really stylish when layered with others & Messages In Metal have several fonts available but my favourite would have to be their Gold Dashing design, which I've featured above. Personally I would wear this type of necklace so it sat in the nape of my neck & then layer with another necklace slightly longer in length. 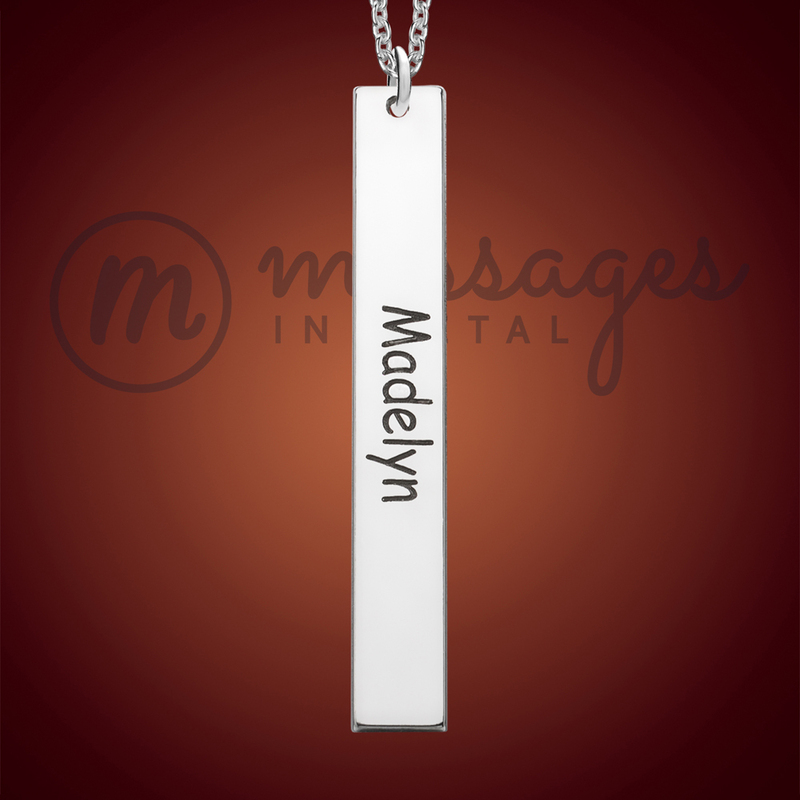 As well as catering for us ladies, the brand also has lots of designs aimed towards the male market, along with unisex pieces like the name tag necklace above. 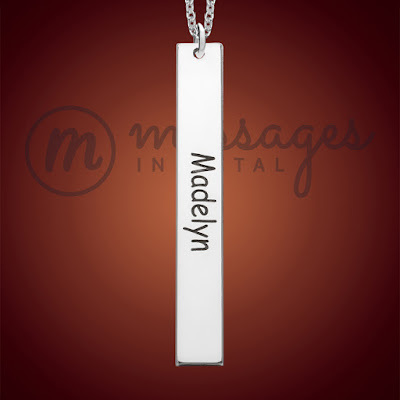 Whilst a personalised name will have special meaning to a mum, dad or grandparent you could also customise this type of necklace with a word or even a date perhaps as a gift to a special friend or son/daughter. 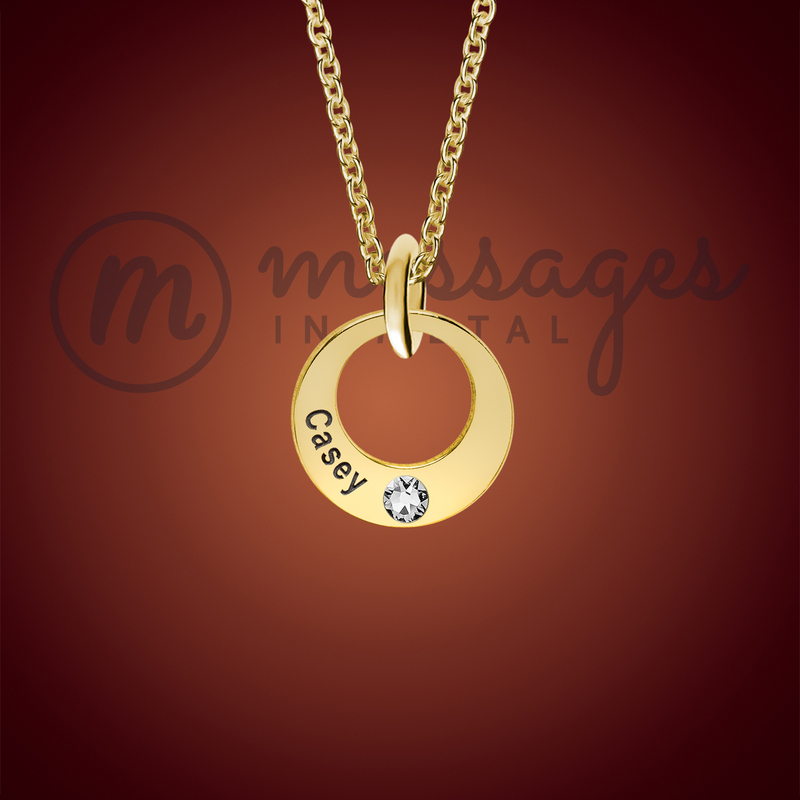 Together with their plainer designs you can also choose to customise your necklace to feature a birthstone, such as the single ring design above. Needless to say I've only shown a fraction of their range, with their full collection available here. Now I mentioned earlier in the post that I had asked for my order to be customised. So what did I pick? Well I decided on their Silver Monogram Round Personalised Necklace that I asked for two initials to be added instead of just one as my son has a hyphenated first name & as we call him by his initials I wanted the necklace to feature them both as I don't associate the letter 'T' with my son, who you'll know I love dearly. 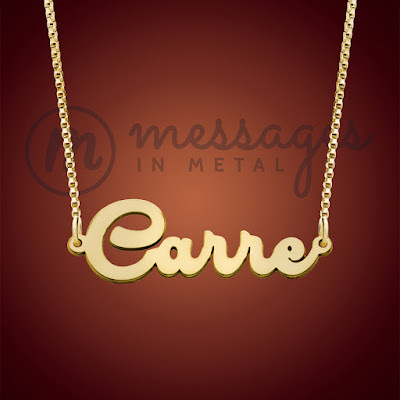 Messages In Metal couldn't have been more helpful or accommodating & sent a couple of emails following my request to clarify position of the initial on the pendant. At one stage I was even thinking about having the chain fitted so it attached at either side of the disc, which again wouldn't have been a problem but as I wanted the option of being able to layer this necklace with others I ended up deciding to keep it to it's original design. I'm absolutely thrilled with the design & of course it's especially special to be able to wear my son's initials on a piece of jewellery that will go with most outfits. Back to today & I'm wearing my new pendant with a simple lace trim cami & cashmere knit combo & boyfriend jeans. This post was written in collaboration with Messages In Metal.